The Ultimate Bourne Collection Trilogy Was $60 Now Only $31.94! You are here: Home / Great Deals / Amazon Deals / The Ultimate Bourne Collection Trilogy [Multi-Format] Was $60 Now Only $31.94! 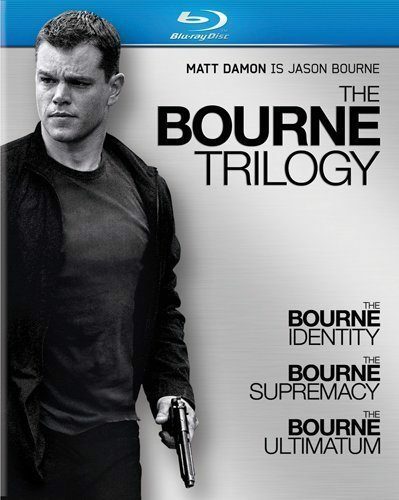 The Ultimate Bourne Collection Trilogy [Multi-Format] Was $60 Now Only $31.94! Head over to Amazon and order the very highly rated Ultimate Bourne Collection Trilogy [Multi-Format] Was $60 Now Only $31.94! Shipping is FREE with Prime or on overs of $35+. Don’t have Prime? Try a 30 day FREE trial! Get ready for non-stop action, edge-of-your-seat suspense and spectacular chase sequences with everyone’s favorite assassin in The Bourne Trilogy! Matt Damon is Jason Bourne, an elite government agent determined to outwit and outmaneuver anyone who stands in the way of his finding out the secrets of his mysterious past. Follow his explosive, action-packed adventures in three blockbuster films from one of the most popular series of all time: The Bourne Identity, The Bourne Supremacy and The Bourne Ultimatum. Loaded with hours of bonus features, The Bourne Trilogy is the complete Bourne experience for movie fans everywhere!